At top: Inside Exit 10 in 1976, courtesy Michael Summa. 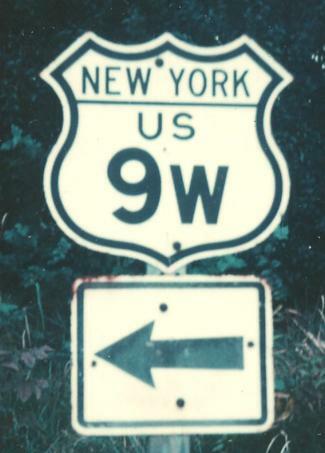 US 9 was certainly US 9E once, and for some reason someone decided that it made more sense to have US 9 cross the Hudson twice (with an ever-increasing toll at the George Washington Bridge, but thankfully no toll in Albany), and keep the western, more scenic route as 9W. I'd like to see US 9 on the west, NY 9A extended up the east, and who cares what number Broadway has? It's Broadway.